Matilda’s Cat | What is ML Reading? The Noro virus took over our life a few weeks ago. Luckily, I request all picture books my library system buys. I wasn’t at work to peruse the new books when they arrived at the library; but they were waiting on me when I returned. I haven’t shared the books with ML yet. She’s hanging out with her dad for spring break. Friday night, we’ll have a picture book marathon. 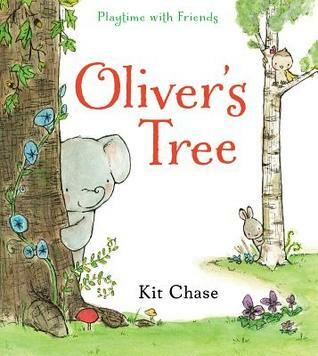 Oliver’s Tree by Kit Chase – As a tree climber, ML will love this book. My coworker said, “Something about this book makes me think of Winnie the Pooh.” It’s true. The illustrations remind me of E. H. Shepard’s gentle illustrations in the Pooh books by A. A. Milne. 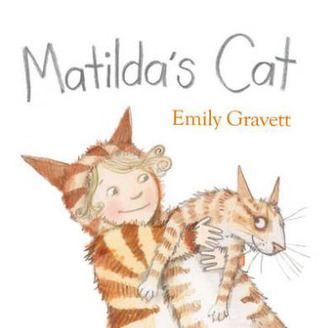 Matilda’s Cat by Emily Gravett – This book has the funniest facial expressions I’ve ever seen on a cat. ML is going to laugh through the entire book, especially the page where the cat is served a banana at Matilda’s tea party. I’m bringing home Dogs by Emily Gravett too. Then, ML can truly appreciate all the humor in this book. Where’s Mommy? 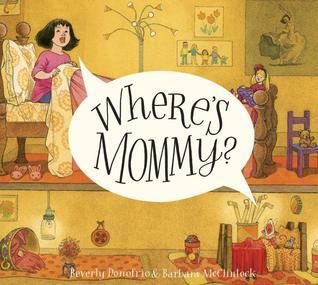 by Beverly Donofrio and illustrated by Barbara McClintock -A companion to a book ML enjoyed… Mary and The Mouse, The Mouse and Mary. The detailed illustrations comparing the little girl’s day to the little mouse’s day enchant. ML will love the creative use of everyday things the mice use to furnish their home. This is a book I’d love to receive for Mother’s Day. 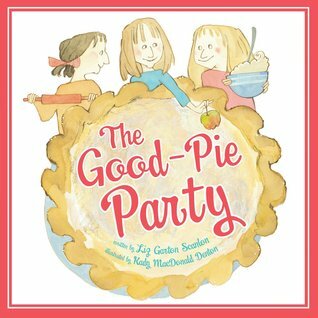 The Good-Pie Party by Liz Garton Scanlon and illustrated by Kady MacDonald Denton – Moving is hard. No-one likes to say good-bye. Thankfully, our move was only 3 miles. ML doesn’t go to school with her friends from our old neighborhood, but we haven’t lost touch. They are a part of her book club. The water-color illustrations remind me of our wonderful neighbors from ML’s first five years. On a very hard day in my life, they joined me for a “When Life Throws You Lemons – Make Lemonade And Lemon Pie Party.” Pie makes everything easier. 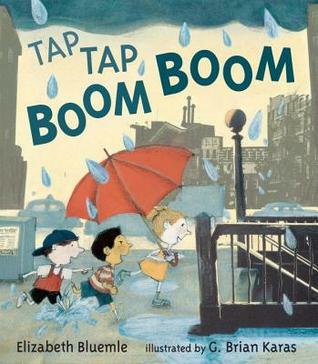 Tap Tap Boom Boom by Elizabeth Bluemle and illustrated by G. Brian Karas – This book shows the beginning of the storm, the mad dash for the subway and the emergence from below to a rainbow in the sky. Had it arrived earlier this spring, it would have made the Onomatopoeia Part 2 post. G. Brian Karas uses collages of photographs, gouache and pencils seamlessly integrating the feel of a subway station and the playfulness of the story. 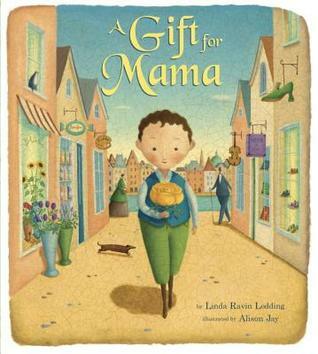 A Gift for Mama by Linda Ravin Lodding and illustrated by Alison Jay – A lovely story set in Vienna, Austria showing those who give receive what they need. The crackled illustrations provide an old-world feel to this book set in 1894. 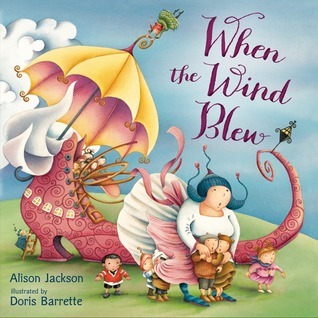 When the Wind Blew by Alison Jackson and illustrated by Doris Barrette – This book arrived days after my Nursery Rhymes post. The whimsical, upside-down, fly-about illustrations complement the story. Splat! 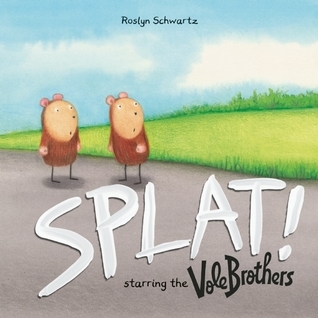 Starring the Vole Brothers by Roslyn Schwartz – A story filled with one syllable words and sounds. There’s a Flap, Flap, Flap before the Splat! Guess what happens? All children will laugh at this scatalogical tale. The banana peel at the end adds a twist. Most libraries have a feature allowing you to request books. This allows you to get on a list for books when they are checked out. If they are checked in at another location in your library system, you can have it sent to the branch you frequent. It keeps you from driving all over.